If the fish have not been cleaned, remove the scales, eviscerate them, and rinse them thoroughly with cold water. Pat the fish dry inside and out, then season inside and out with salt and pepper. Wash the lemon, slice it thinly, and place half of the slices in each fish cavity. 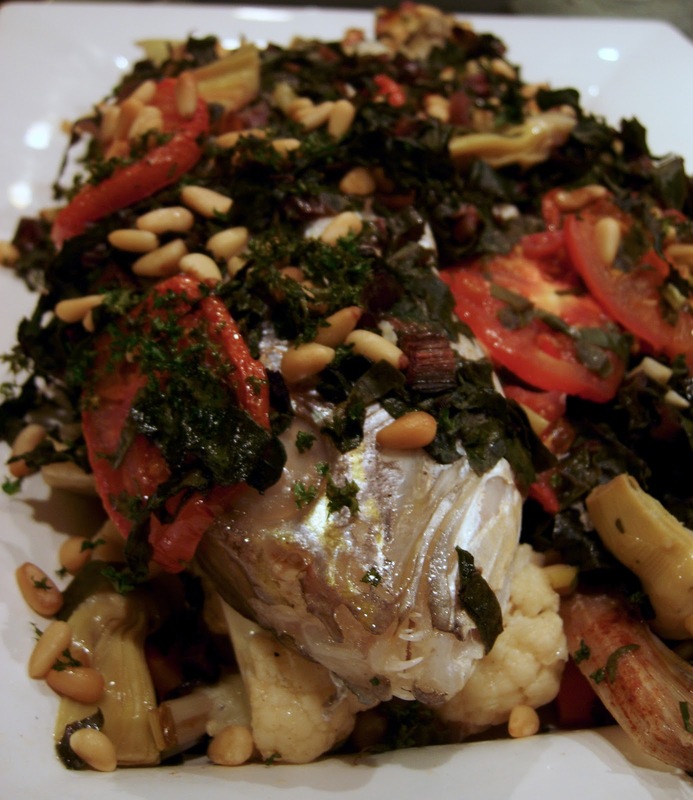 Cut some fennel leaves off the bulb, wash them, and place half inside each fish cavity with the lemon. Place the fish into the refrigerator. 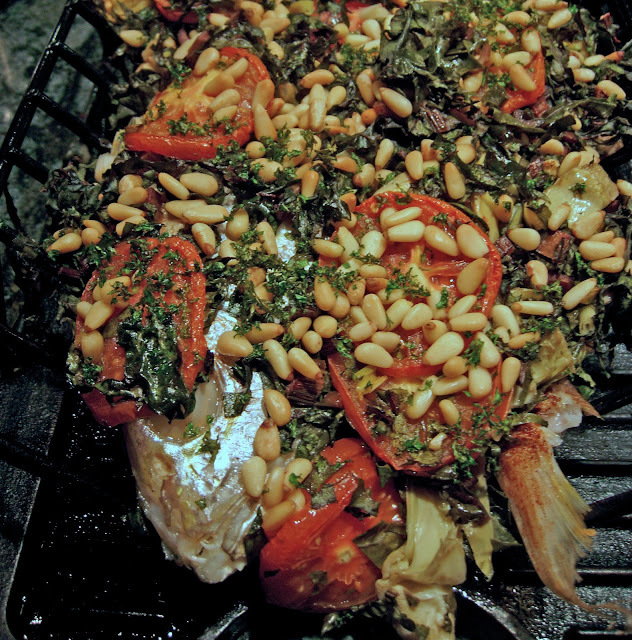 Place 60 ml (or ¼ cup) of olive oil in the bottom of a roasting pan large enough to hold the whole fish and all the vegetables. 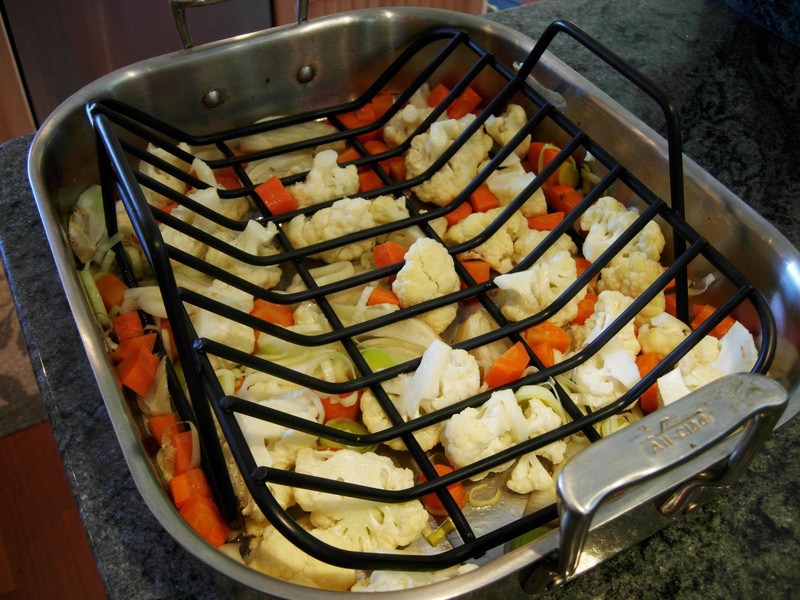 Mix the cauliflower, leek, carrot, and fennel around to coat with olive oil, and roast these vegetables at 175°C (or 350°F) for 30 min. 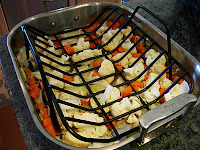 Remove the half-roasted vegetables from the oven and place a roasting rack into the pan. 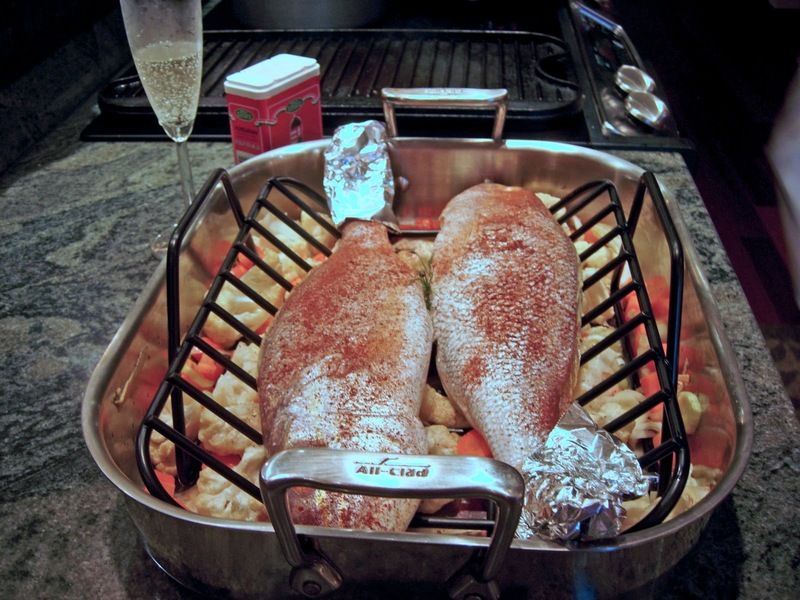 Arrange the fish on top of the rack, backbones near the edge of the pan, and sprinkle them with paprika, then drizzle with the wine. Cover the tail fins with aluminum foil. Mix the artichoke, tomato, and chard together and place the mixture on top of and around the fish. Drizzle the clam broth over all. Sprinkle the scallions, parsley, and pine nuts on top of the vegetables, and return the roasting pan to the oven. 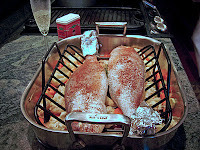 Roast at 175°C (or 350°F) for 30 min, then test to see if the fish are cooked by inserting a knife into the middle of the back. If the flesh is opaque clear to the backbone, the fish are done.